FOOTBALL: Brothers Aston Villa might be singing the famous Willie Nelson song On the Road Again a few times in the next month. But the side doesn't mind one bit. 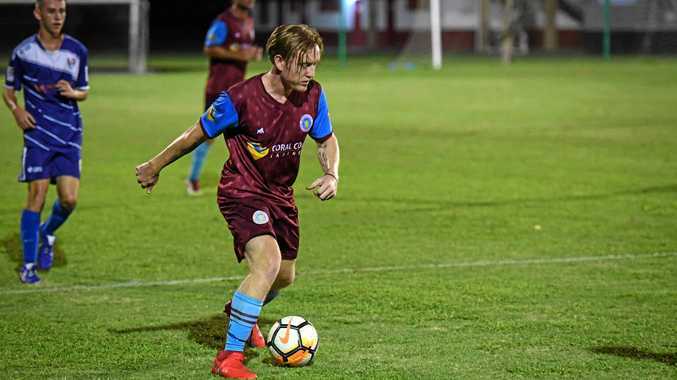 The Wide Bay Premier League grand finalists from last year start this year's season in Maryborough against Sunbury, aiming to go one step better. It will be the first of three successive trips to Maryborough with the team to face Granville and Doon Villa respectively after this week. The side then travels again in week six, to complete four trips in the first six round. "We've got to play them some time,” Villa coach Glen Sparozvich said. "It doesn't bother me or the team. Villa won all five of the away-from-home matches it played last year. But Sparozvich knows the opposition tonight will be tough. "It's a big assignment,” he said. "They've got Jacob Chapman back and they've really strengthened. Sparozvich said it was important the team took its chances after only scoring once against Alloway in the FFA Cup last weekend. He added that on another night it could have been six or seven and the side needed to do that against the better sides. Villa plays Sunbury at 6pm at Federation Park.